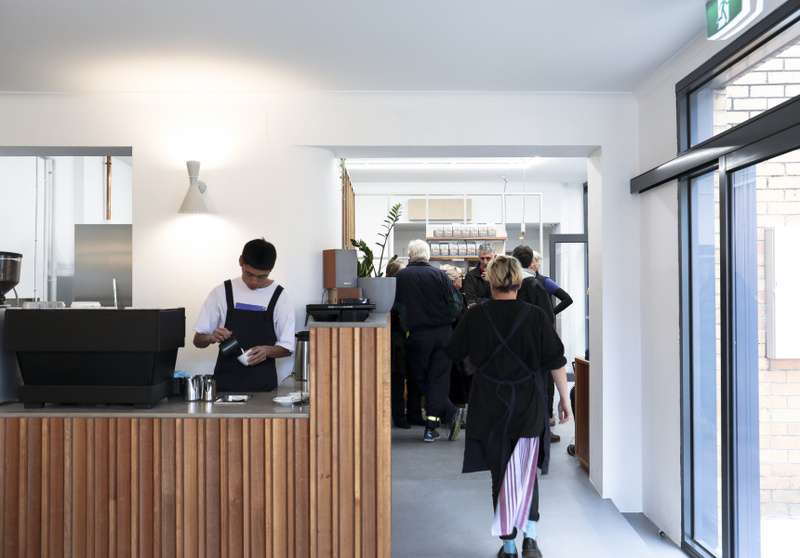 Before 190 High Street became All Are Welcome, a Northcote bakery and coffee shop, it was a Christian science reading room, dating to the 1950s. The cream brick building had the phrase “All Are Welcome” written in gold letters on the front door, so for owner and baker Boris Portnoy, the venue had its name from the beginning. 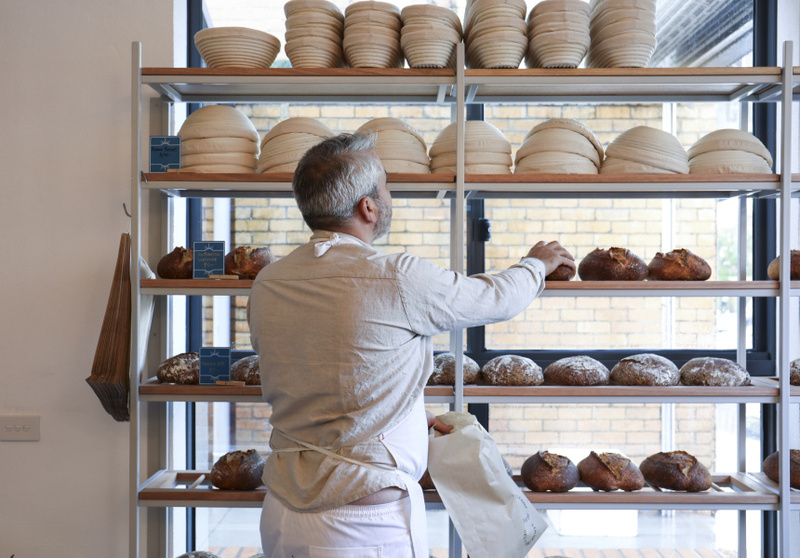 Sitting inside the bakery, customers get a view of the exposed kitchen, where a small team of two, including Portnoy, prepare for the following day’s bake. The bright space has retained some of its former fittings too including pews and wood panelling from the reading room’s adjoining church. Portnoy, who was previously head pastry chef at The Restaurant at Meadowood in the Napa Valley, a three-Michelin star venue, decided to trade fine dining for baking after moving to Melbourne in August 2013. All Are Welcome is a collaboration with Mark Free and Aaron Maxwell of Everyday Coffee, whose espresso and batch brew coffee is on the menu. 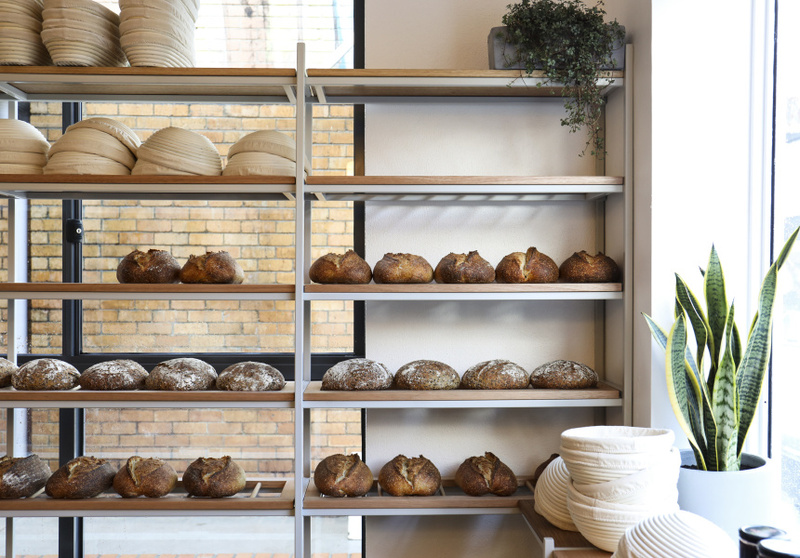 Inside, racks are filled with loaves of bread including a San Francisco Sourdough and Seeded Rye Sourdough, and different flatbreads. Alongside croissants and cinnamon brioche buns there are ensaïmadas (a sweet spiral pastry from Mallorca in Spain), medovnik (a Czech honey cake) and khachapuri (a traditional cheese-filled bread from the Republic of Georgia). Portnoy has also developed his own version of a pain au chocolat – a Gianduja Babka Bun. There’s also an assortment of non-sweet options, such as savoury tartines and tarts, as well as housemade jams, chutneys and pickles.